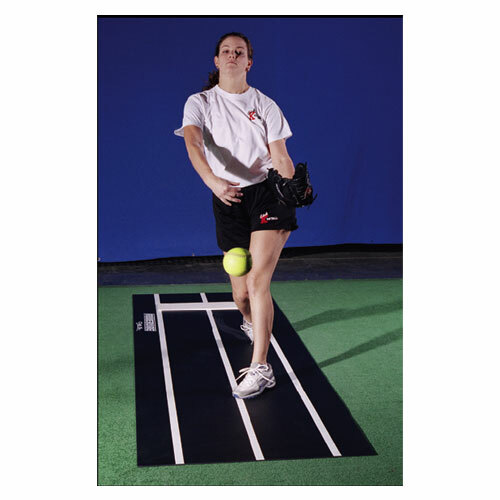 Rubber mat with permanent embedded white lines and pitchers plate is the ultimate training tool for fastpitch softball. Centerline is the actual power line which indicates proper foot placement and balance. Weight 45 lbs. Size 3' x 9' x 1/8" thick.